25th Anniversary of Essence Fest...You Can't Miss This! This year will mark the 25th annual Essence Music Festival. 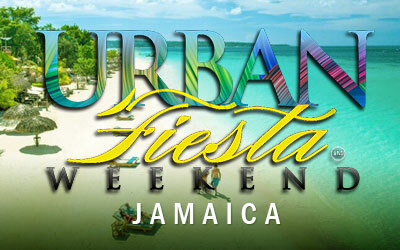 This annual mega event is filled with concerts, seminars and celebrities, all sponsored by Essence Magazine. If you are looking for parties, concerts, party cruise, along with more celebrities than you can handle, then you should book with us today! 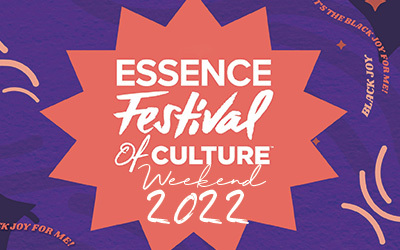 We are the #1 source for Essence Festival Weekend activities in 2019. This is the original All-White cruise party and the event everyone talks about during Essence Fest weekend! This is the 14th annual Mid-Day Cruise Party, happening on the famous Creole Queen and will feature five (5) options for your cruising delight. Enjoy a multi-level boat cruising the Mighty Mississippi River, while listening to the best Hip-Hop and R&B music. 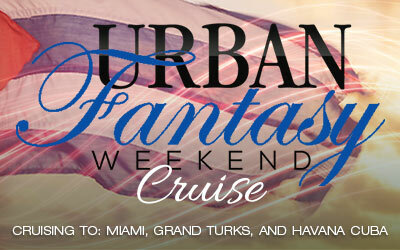 The theme is "All White" attire preferred, but not required for this cruise. If you are ready to bust a gut, the 9th annual Mid-Day Comedy Show is the event for you. Our comedian's, like years past, will have you in stitches. If you are looking for good food, great drinks, and lots of laugh, this is the event you cannot miss. Don't think we are going to let you down with our 2019 lineup! This Mid-Day Comedy Show will happen Sunday, July 7th, 2019. Do the right thing and Book now with YOLLO Group Services Inc. and allow us to give you the best travel experience while in New Orleans! Does the price listed take care of hotel reservations for all members in either package or only one person? How is the one night concert ticket chosen for my group? After Essence releases the performer’s lineup we send an email notifying everyone of the daily lineups. Each person in the group has the freedom to choose which night they would like to attend. In the event we don’t hear from anyone in the group we will secure Saturday night tickets for the group or group members whom haven’t confirmed their concert night. What are the payment due dates for Essence Packages? To reserve a package each group member pays the $29.99 per person fee. The first payment of $250 per person is due on or before April 1, 2019. The second payment of $350 per person is due on or before May 1, 2019. The final payment (remaining balance) is due on or before June 01, 2019. If the announced payment dates have passed contact us for our current payment plan. Any payments after the due date will incur late fees and is subject to cancellation. If you would like to make payments between due dates you may do so by clicking on the BUY NOW tab above and following the prompts. Yes, we can accommodate any size group, but due to hotel regulations the max occupancy per room is four. This why you see pricing up to four. Can I purchase additional concert nights? Yes, additonal night concert tickets are $185 per night. Just let us know and we can add it to your invoice. Yes, all large bags will be thoroughly checked upon entry to all venues, including the Superdome, Convention Center and many other locations held during the weekend events. Do you offer transportation for/with your travel packages? No. Transportation is the responsibility of the client for this event. You follow the same procedure as you did for registration. You will select the First Payment option under package options. You follow the same procedure as you did for registration. You will select the Partial Payment option under package options. How does the complimentary night work? Your base package includes check-in on Friday with check-out on Sunday. If you make your first payment ($125) on time you earn the complimentary night. You can use it to arrive a day early on Thursday or depart a day later on Monday. What kind of access do I get with my concert ticket? If I wait until the lineup is complete before I book my hotel room will you still have packages available? In most cases you will be out of luck! This event breaks attendance records every year. Some people may attend the festival for the concerts, while others may attend for the surrounding activities and mingling opportunities. Regardless, you will need to book your package now. With our payment plans it helps you to reserve your package today and pay over time. Must the entire group pay the $29.99 Reservation fee? Yes. All prices are per person. The Reservation fee secures your spot on the package, and is separate from the package price. What is included with V.I.P. vs V.V.I.P admission to the Boat Party? V.I.P. tickets are general admission tickets to the cruise and only cover entrance to the cruise with no food or drinks included. V.V.I.P. includes a speedy admission onto the boat party, delicious food, and an open bar to get you right all while partying on the boat. Our packages include the V.I.P ticket. You can upgrade to the V.V.I.P. ticket for an additional $95 per person. Disclaimer | The term Essence Music Festival, as well as all associated graphics and/or logos, are registered trademarks of their respective owners and are used herein for factual description purposes only. We are in no way associated with or authorized by Essence Music Festival and neither this production nor its affiliates have licensed or endorsed us to sell goods and/or services in conjunction with any Essence Music Festival productions. The use of any logos, words, trademarks, or photos have been used for Descriptive Purposes only and not to show endorsement or permission to use, to promote the sale of any tickets. We are not affiliated with, nor do we have any licenses or strategic alliances with, nor are we authorized by any box office, promoter, venue, theatre, stadium, hotel, sporting team or sporting association. All and any copyrights, trademarks, trade names used within this web site are for descriptive purposes only. We are not acting on the authority of or by the permission of any of the above mentioned entities. We are able to provide access to tickets for events through our contacts and various sources.